The Murray River is one of the most popular tourist locations in Victoria, New South Wales and South Australia for watersports, fishing and recreation. Stretching 2,530 kilometers from the Great Dividing Range in the north east of Victoria to its mouth in Goolwa in South Australia. The Murray River is one of the world’s largest navigable rivers and a major source of water for much of south eastern Australia. 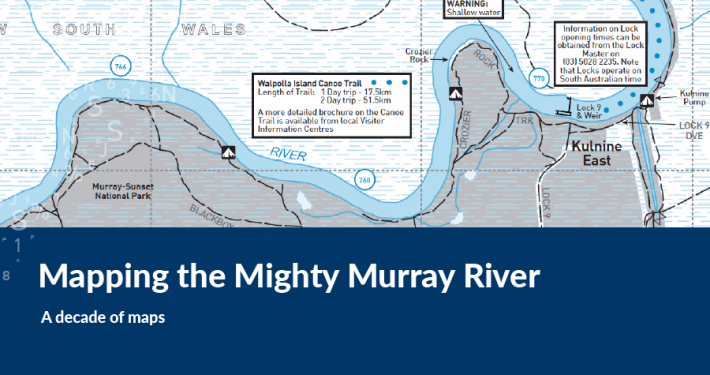 Spatial Vision produces Murray River Access Guides to assist visitors to locate points of access to the river. Our first Murray River Access Guide book was published in 2006, covering Yarrawonga-Mulwala to Ulupna Island. Over the years the books have expanded to cover the full length of the Murray River from its source near Indi Springs, to its mouth near Goolwa. There are now 16 books in the series. 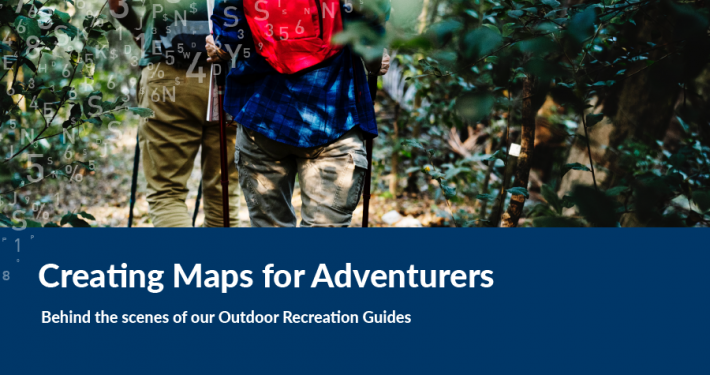 Each of Murray River Access Guides have a unique coloured cover so user can easily identify which guide covers which part of the river. The table below list each guide and the associated colour. 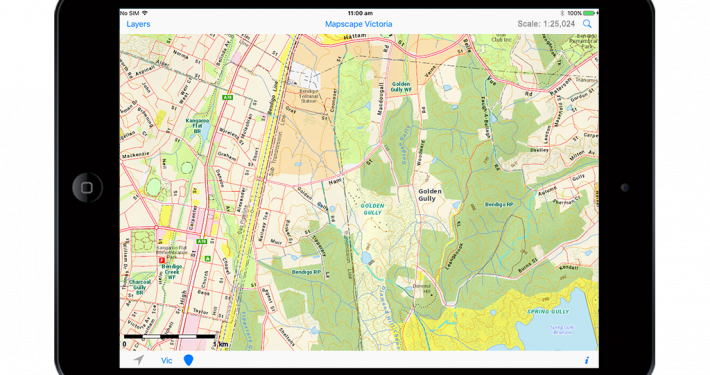 Originally the maps were created using Adobe Freehand graphic software program, however they now benefit from the latest version of Adobe Graphics Software Suite through the use of Adobe Illustrator and MAPublisher. 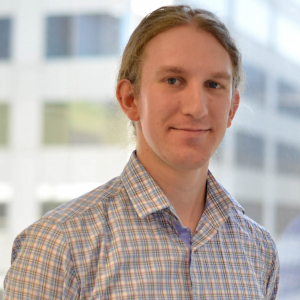 The production of each new book edition starts with acquiring the latest spatial datasets from the Victorian, South Australian and New South Wales authoritative government data custodians along the river. These datasets are imported into Illustrator using MAPublisher. Style sheet templates are set up that automatically style data based upon its attribute information. MAPublisher is a powerful cartographic tool which greatly assists the flow and functionality of map creation without jeopardizing quality which some other programs such as ArcGIS cannot quite master. The final artwork is exported in high quality digital PDF format and printed locally in Victoria. The creation and updating of these maps is done with the assistance of local knowledge to enhance the accuracy of the information. This includes not only known areas of interest or inaccuracies of the data but also information about events and local festivities that contribute to the lively culture of communities along the Murray River. Our Murray River Access Guides along with all SVmaps products benefit from collaboration and support from the Victorian Department of Environment, Land, Water & Planning (DELWP) and Emergency Service Agencies across the state to ensure we have the latest information to ensure data accuracy and legibility in our mapping products. There are 2 booklet updates per year so keep a lookout for the next edition coming downstream. 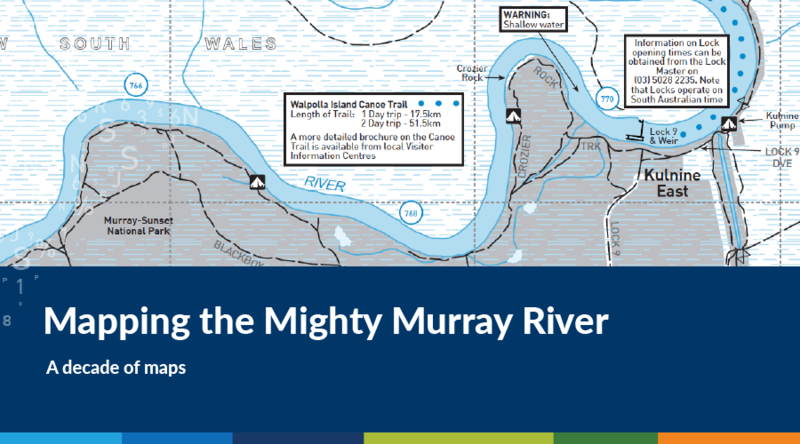 Our latest Murray River Access Guide release is the Second Edition of Book 9. Mustard in colour, this book covers Mildura to Neds Corner including the towns of Yelta, Dareton & Marebin along the route. Next time you are visiting the Murray River and need to know where to launch your boat or where the camp grounds are, why ‘knot’ consider ducking into one of the local visitor information centres in the regions and picking up a copy of one of Murray River Access Guides so you, your family and friends can join in the local festivities and have knowledge about how to access the Murray River. Case Study: Coastal Climate Change Impact Assessment Are You Our Next Graduate Developer?